Radio Wuppertalis is basically News Station broadcasting service and entertainment programs online.Its genres is Top 40-Pop broadcasting in German language.Its headquarter is located in Wuppertal, Germany.For contacting purpose you can call on 0202 – 25 77 02.This is webradio based in Wuppertal. RSG 94.3 Genres is Top 40-Pop & Adult Contemporary broadcasts in German language.For contacting purpose you can visit this station located in Solingen, Germany.Listen hits and best of today.Music Mix for Bergische with the current traffic service and the latest information. Radio Essenis actually a local private famous station for the city Essen, NRW, Germany.It was established in 1992 and got his license by LfM.It broadcasts local programs eight hours per day including a morning show “Radio meal in the morning”.Its broadcasting space 14 to 18 clock.Its Genres is also Adult Contemporary.Visit official website. This is basically a local FM station for the city of Duisburg.It is on air since 1 April 1990 and got his license by LfM.You can listen daily local programs at lest eight hours.There are morning and afternoon shows, These shows are..
and afternoon show Duisburg in the afternoon. Its genres is Adult Contemporary and located in Duisburg, Germany. Radio 90.1 FM Station is basically an Adult Contemporary & Top 40-Pop Genres station on which you can listen top famous dongs of the era and it is in German language located in Monchengladbach, Germany at NRW Network.For contacting purpose you can just call on 02161 – 901 901 0. 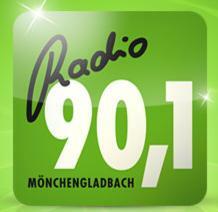 This is a radio station broadcasting from Euskirchen and it was founded in 2002 by its members.Basically it focus on popular songs and popular music.Its genres is Schlager & oldies.You can also listen special programs that run mostly on weekends or at night.Its headquarter is located in Euskirchen, Germany. 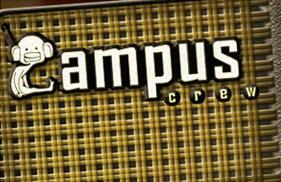 Campus Crew Passau is college Genres FM Station broadcasting in Germany language from Passau, Germany.You can listen and enjoy the best beats of music and nice quality streaming on this website .You can enjoy a lot while driving , working in office , cooking or any thing else what you are doing, So , keep listening. 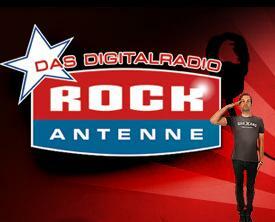 Rock Antenne is Classic Rock Genres Station which broadcasts on frequency 87.9 FM online.This station is located in Augsburg, Bayern, Germany.You can tune in 24 hrs and Enjoy the Rock taste of music every time.For contacting purpose call on 089 / 99 2 77 – 211.Its headquarter is based in Augsburg, Bayern, Germany. Radio Schleswig Holstein established in July 1986 and becomes first nationwide private station operating 24-hour full program.You can listen programs in many different formats.Its genres is Top 40-Pop.It is located in Kiel, Germany.If you want to contact then call on 0180 – 50 51 555. Listen online Radio NORA broadcasting on frequency 97.0 Online and on this station you can listen live programs of genres Classic Hits, Adult Contemporary & Adult Standards.Mainly its programs target the younger audience of over 35 years.It is located in Kiel, Germany.